Amidst the various apocalyptic sections of the Bible, we find the recurring theme of a mountain being cast into the sea. These portions of the Bible are usually thought to be hyperbolic language used to emphasise the omnipotence of God, since taken literally, mountains cannot be lifted up and thrown into the sea. According to this straightforward interpretation, mountains symbolise strength, immovability and timelessness, and the fact that they are thrown down in the face of the Divine presence highlights God's complete mastery over nature. Yet this imagery of mountains being cast into the sea may not be as unthinkable as a cursory reading of this material would initially suggest. Scientists have recently shown how mountains can quite literally be cast into the sea by large-scale lateral volcanic collapses - events which can generate one of the most extreme natural occurrences known to science - so-called mega-tsunamis. A mega-tsunami event can produce a tidal wave capable of achieving enormous heights of between 100-300m, with the potential to completely obliterate entire cities. While these types of events are extremely rare, they have happened many times in pre-history, as has been shown by countless geophysical surveys around the world. As I discuss in the previous article Mega-tsunami, some prominent geophysicists believe that the next such large-scale volcanic collapse will occur at Cumbre Vieja on La Palma in the Canary Islands, which will produce a mega-tsunami that will devastate the east coast of the Americas, as well as parts of Africa and Western Europe. 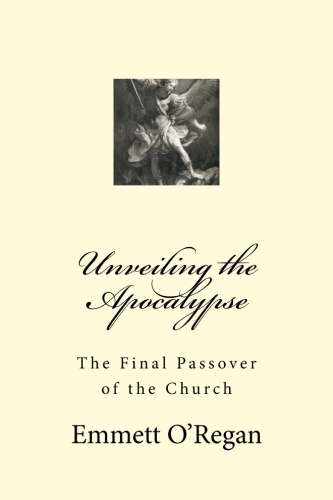 As I argue in my book Unveiling the Apocalypse, the Book of Revelation foretells that such an event will bring about the downfall of "Babylon" - the ruling empire at the end-time, and will pave the way for the rise to power of the Antichrist. For further commentary on these verses, see the article Mega-tsunami. For further commentary on these verses, see the article The Fall of Babylon. For further commentary on this passage, see the article A Mega-tsunami Prophecy in the Book of Nahum? God came from Teman, and the Holy One from Mount Paran. Selah. His splendor covered the heavens, and the earth was full of his praise. His brightness was like the light; rays flashed from his hand; and there he veiled his power. Before him went pestilence, and plague followed at his heels. He stood and measured the earth; he looked and shook the nations; then the eternal mountains were scattered; the everlasting hills sank low. His were the everlasting ways. I saw the tents of Cushan in affliction; the curtains of the land of Midian did tremble. Was your wrath against the rivers, O LORD? For further commentary on this passage, see the article Parousia, Eschatological Earthquake and Mega-tsunami Connections in Habakkuk? For further commentary on the above passages, see the article Nebuchadnezzar's dream. For further commentary on this passage, see the article King David's Vision of the End-time? For further commentary on this passage, see the article Mega-tsunami Prophecies in the Book of Ezekiel? For further commentary on this passage, see the article The Two Towers and the Sixth Seal. For further commentary on this passage, see the article The Eschatological Earthquake. For further commentary on this passage, see the article The Fall of Babylon. The Second Coming (Part II) Rapture?